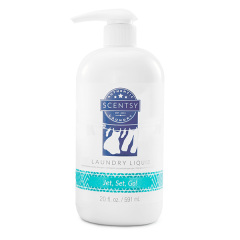 You won’t be able to go back to using other detergents when you experience the lush fragrance of our Layers by Scentsy Black Raspberry Vanilla Laundry Liquid. The scent of bursting berries mingles with petals of sweet vanilla flower, lingering upon your clothing long after the wash is done. Not only does it smell great, it also contains whiteners and brighteners that can’t be beat. One bottle will do up to 50 loads of laundry. 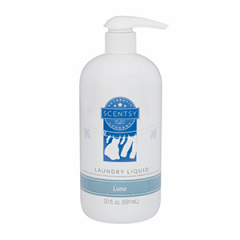 Ditch those generic detergents and cleanse your clothes with the sensually fragranced formula of our Layers by Scentsy Black Raspberry Vanilla Laundry Liquid. 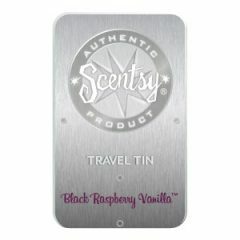 Its stain-busting power is complemented by the rich aroma of ripe berries and gentle vanilla flower. One bottle will do up to 50 loads of laundry. 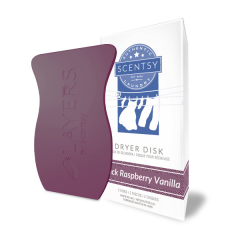 Imbue your clothes with one of our richest, most sensual aromas by using our new Layers by Scentsy Black Raspberry Vanilla Laundry Liquid. This formula is ultra-concentrated, meaning that it will disintegrate the toughest stains, leaving behind nothing but the intense fragrance of ripe berries and soft vanilla flower. 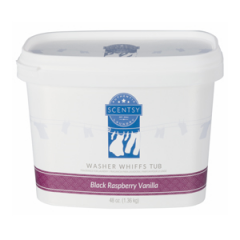 For the ultimate experience, use our Black Raspberry Vanilla Washer Whiffs and Dryer Disks. Purchase our Laundry Love bundle and get 50 loads for only $50.